If you’re looking for passive income, then investing in stocks that pay you a stable and growing dividend is something that you need to keep your eye open for. In that vein, REITs are great investments if you plan to invest for stable, passive income. Why so? 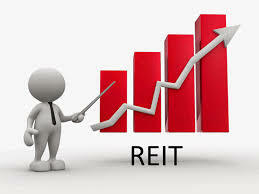 Firstly, REITs (or real estate investment trusts), as their name suggests, invest in real estate. And in land-scarce Singapore, property in general makes for a great long-term investment. Our country is also safe, politically stable, and well run (although some of us would disagree!) which means the value of our real estate is likely to hold and appreciate over time. And although many of our REITs also invest in assets overseas, most of them own properties that are mainly located in Singapore. Secondly, REITs pay a high dividend yield. There are currently 35 REITs listed in Singapore with an average dividend yield of 7.5% (as at Feb 2016). With the current market downturn, some REITs have yields as high as 10% right now! One of the main reasons why REITs offer such high yields is because they enjoy tax-exempt status as long they pay out at least 90% of taxable income to shareholders. The tax breaks and high payouts mean higher yields for investors. The recent 2015 Singapore budget extended tax breaks for REITs for another five years. Thirdly, REITs also pay their dividends (or distributions) four times a year. In comparison, a typical company usually only pays dividends once or twice a year. So if you’re an investor who wants to receive a steady, regular stream of passive income throughout the entire year, REITs will do very well for you. So now that we’ve established that REITs offer a high, steady stream of passive income for investors, what are the important factors you need to look at before you invest in any particular REIT? Not all REITs are made the same. Singapore REITs fall into six broad categories: office, retail, residential, healthcare, hospitality, and industrial. Each sector has its own specific characteristics that will affect a REIT’s growth, risk profile, and performance. For example, office REITs like CapitaCommercial Trust, own office buildings. During a bull economy, businesses do well and demand for office space is high. This translates to higher rents and property income for the REIT. During a recession, the chips fall the other way – some businesses go bust, demand tumbles and office rents fall in tandem. The economic cycle largely affects the performance of an office REIT. On the other hand, retail REITs like Starhill Global own shopping malls. Even in times of recession, many malls are usually still packed with shoppers and shop spaces are fully tenanted. Demand for retail space remains high which means rents and property income for the REIT barely drop. All things equal, investing in a retail REIT is less volatile than investing in an office REIT. Of course, investors are aware of this and hence generally willing to pay higher prices for a retail REIT which lowers your dividend yield. This is probably the first ratio that every investor looks for when investing for dividends. While everyone enjoys a high dividend yield, what’s more important is to examine a REIT’s dividend track record. Does a REIT pay a stable or rising dividend per share (or distributions per unit) year after year? Or does it tend to fluctuate every year? A REIT that’s able to steadily grow its income and dividend per share year after year is understandably a more attractive investment than a REIT whose dividend payouts fluctuate all the time. A REIT with a higher dividend yield doesn’t necessarily mean that it’s a “better” investment. For example, an office REIT usually has higher yields compared to a retail REIT, but office REITs are also more volatile and less resilient than retail REITs. Property yield is the amount of income a REIT can generate from a property. For example, if a property is worth 10 million dollars and earns $400K in rent in one year, then its property yield is 4%. Understandably, the higher the yield, the better. But what’s more important is to examine whether a REIT’s property yield is stable or rising over the years. A well-managed REIT will look for ways to continually improve its property yield. One common way for a REIT to improve its property yield is to acquire yield-accretive properties. For example, if a REIT’s property yield is 4% and it acquires a new property that generates a 5% yield, the new acquisition will help to increase the REIT’s overall property yield. Gearing ratio represents a REIT’s amount of debt over its total assets. The higher the ratio, the more debt a REIT has. In Singapore, REITs are tightly regulated and only allowed to borrow up to 45% of their total assets. So if a REIT owns a billion dollars in assets, it can only borrow up to $450 million in loans. A REIT can borrow the money to fund new acquisitions for growth, upgrade its buildings, etc. The lower the gearing ratio, the more conservative a REIT is. At the same time, a high gearing ratio does not necessarily mean that a REIT is a poor investment – it just means that a REIT is willing to take on more debt (and risk) for growth. P/B ratio measures a REIT’s share price against its net asset value (NAV) per share. Theoretically, a P/B ratio of 1 indicates a fair valuation. A ratio above 1 means a REIT is overvalued and a ratio below 1 means it is undervalued. For example, if a REIT’s share price is $1 and its NAV per share is $2, then its P/B is 0.5 – essentially you’re only paying 50 cents for every dollar of net assets. In practice though, you shouldn’t simply rely on P/B alone to value a REIT. Other important factors, like the ones we’ve discussed above and more, must also be taken into consideration when choosing to invest in a REIT. While REITs in general are great investments for dividends, not all REITs are equal – it’s important to pick only the best-managed REITs that are able to pay you a long-term growing dividend and appreciate in value over time. Finally, if you’re a REIT investor and you’d like a quick way to view and compare all the above ratios at one glance, check out our free Singapore REIT data service where we list all this data and information for investors.